40th Anni alloy road wheels. 80 series steel rims with 285/75R16 BFG Mud Terrains for play. Magellan Meridian Color and Compaxq laptop for mapping running both Oziexplorer and DAST as necessary. I have owned the cruiser since 2001 and was originally a mate's company car and fitted with a 1HZ and had low kilometers. Since then I have steadily upgraded the car to its present level. The biggest change was in the quest for horsepower fuelled by ownership of a camper trailer (since gone) and the lack of power for overtaking. A chance conversation with a workmate had me taking sight unseen a Japanese import 1HDFT with 8000km on the clock. The engine came with everything bar the tailshafts ie gearbox and transfer case. The price was too low to mention in polite society. Although with these imports it is hard to say exact mileage, the seller was a good mate of my workmate and had nothing to gain by stating such a ridiculously low mileage. Needless to say when I saw the engine and did the servicing (valve clearances etc) I became confident that the engine was certainly low mileage regardless of the claim. In particular the gearbox shift was like new. Peer pressure lead to the intercooler and 3" exhaust and I can honestly say that it has more than ample power for all uses. As a safety measure I fitted the pyro and boost gauges. Some accessories are self fabricated, like the draws and twin pivot wheel carriers. Most people comment that they actually look good!!! The wheel carriers were a major job with myself and a couple of mates undertaking the project over a 2 month period. They have everything the Kaymar/OL/TJM units have except the price. The twin UHF's are to allow one radio on scan and one to talk when on remote area trips, so we can gab on a separate channel if we want. I have been a member of 80scool and 80sbris since late 2000 when I started looking seriously at 80 series. 80 Bris at the time was a small group still run off the SGI server. 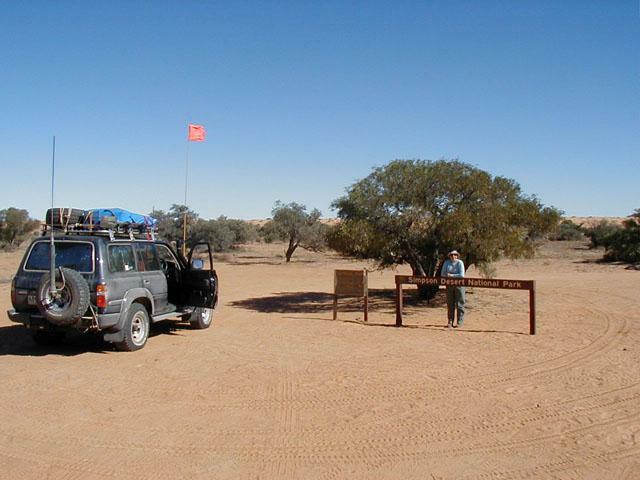 Regardless of size it had contributing members who were happy to show a cruiser novice the intracacies of servicing and maintaining a Landcruiser. Such things as valve clearances, wheel bearings, diff locker installation, front end overhauls and in due course engine changes were willingly undertaken with the assistance of some great mates. 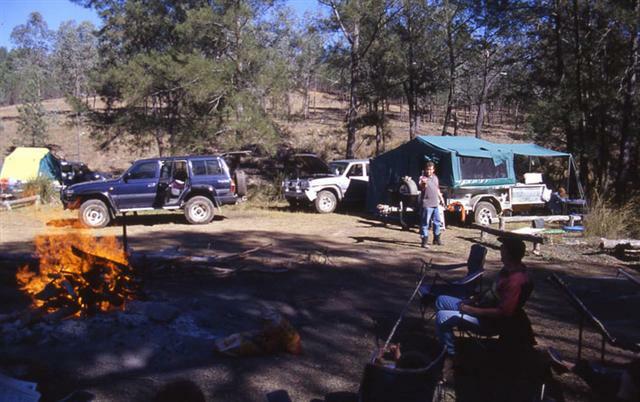 Similarly Briscool have run some great trips with a local favourite for some of us being Sundown National Park and other major trips being run to the Simpson Desert (1999 and 2002), Cape York (2004), Mr Moffatt NP (2003) and numerous trips to Landcruiser Mountain Park and Levuka amongst beach trip and the like. Future plans include making a set of sliders and a custom stainless water tank. My next major trip is more than likely the Canning Stock Route this year.